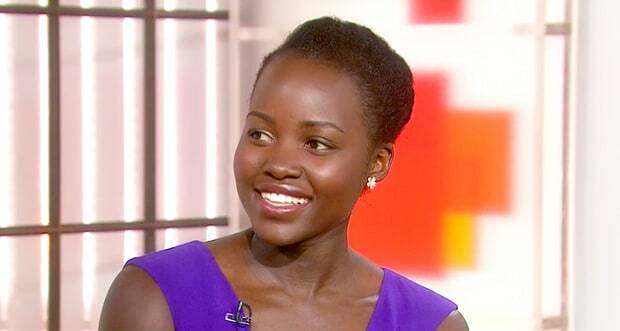 How lovely does Lupita Nyong'o look? She wore this figure hugging Micheal Kors dress on the Today Show this morning. The beautiful actress was on the show to promote her play "Eclipsed" which begins it run on Broadway soon. While on the Today Show Stars Wars: The Force Awakens actress weighed in on the #OscarsSoWhite controversy. She said "it’s a symptom of something else. What we are asking for is really for more stories to be told. For inclusion in the stories that are told. I think that it’s good for all of us when we hear a diverse number of stories and are able to experience more diversity. It’s more reflective of the world we live in."